What is the purpose of school? On this site, you will find reviews of empirical research, literature on educational philosophy, case law, state constitutions, and surveys of business/industry that relate to this question. Dr. Damian Bebell of Boston College and Dr. Steven Stemler of Wesleyan University have developed a model for thinking about school purpose that they call the MIA Model. In short, this model states that schools should be in charge of defining for themselves what they believe their core purpose to be. Next, the curricular and extracurricular offerings should align with the school mission. Finally, assessments of success should be congruent with the unique mission of the school. 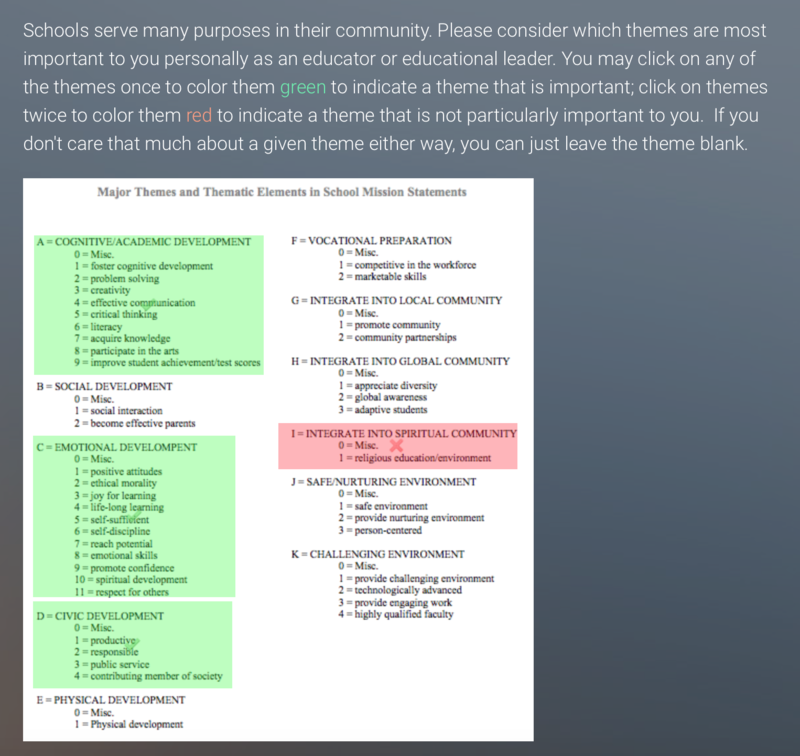 These resources may be especially useful for those tasked with revising their school mission statement and those grappling with how to demonstrate, via assessment, whether the school is succeeding in achieving its educational mission. Professor Steven Stemler of Wesleyan University briefly discusses how the primary purposes of schooling have shifted over time. James Steckart, Head of the THINK Global School, discusses the Mission Deconstruction Activity and explains how it can be a powerful tool for educators.